Club Penguin Cheats by Mimo777 Club Penguin Cheats by Mimo777: New Homepage Sneak Peek! 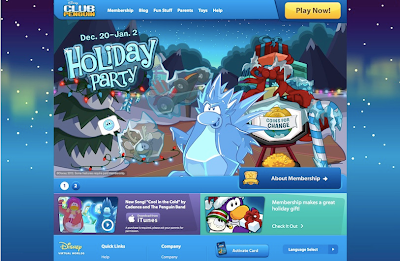 Check out the new Club Penguin homepage Sneak Peek! Starting this week, this will be the new home page on clubpenguin.com! There will be other pages to match the homepage too! And is will be a lot easier to get to the blog with the new homepage! WOOT! What do you like most about the new homepage look! ?